Highly experienced litigator and transactional attorney Howard Gould has served as an arbitrator and mediator for the past 20 years in a number of forums, focusing on resolving commercial and real estate disputes of all kinds, including residential. He served as Chairman of the Executive Committee of the Beverly Hills Bar Association Real Estate Section. Mr. Gould also has three decades of litigation experience in state and federal courts and has handled a wide range of business transactions as well as partner and shareholder disputes, banking and lending disputes, probate and trust matters, patent counseling and employment cases. Mr. Gould was Director and Shareholder of Firestone & Richter from 2004 to January 31, 2014 when the firm ceased doing business. 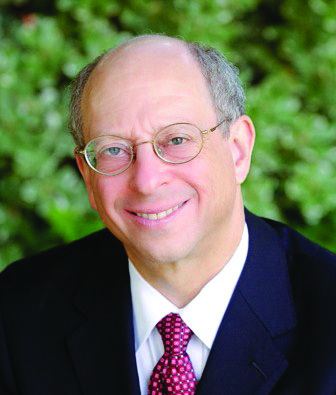 He previously served as Managing Partner of Doland & Gould, LLP from 1979-2003. He practiced in the litigation department of Kutak Rock in Omaha, NE from 1977-1979. His real estate arbitration expertise includes disputes involving specific performance, quiet title, partition actions, boundary line and other neighbor vs. neighbor issues, slander of title, breach of contract, fraud in the sale of real estate, construction, homeowner association, mechanics liens and stop notices, commercial evictions and real estate brokerage commissions. Mr. Gould also has experience in disputes involving corporate, LLC and partnership rights, probate and trusts, banking and lending issues, purchase and sale of businesses, collections including attachments and writs of possession, and trademark, copyright and patent counseling and/or litigation. He has handled employment disputes on behalf of both employers and employees. His practice also focused on representing foreign persons in their U.S. transactions and litigation. He has served as a Judge Pro Tem in the Santa Monica Municipal and Superior Courts for 10 years and as a Crash Settlement Program Mediator at the Santa Monica Courthouse. He served on the National Arbitration Forum panel from 2000-2009 and was a member of the AAA Commercial Law and Construction Law panels from 1993-1998. Mr. Gould received his California Real Estate Broker license in 1980 and has been a Registered Patent Attorney, U.S. Patent and Trademark Office, since 2003. Mr. Gould is available throughout California.